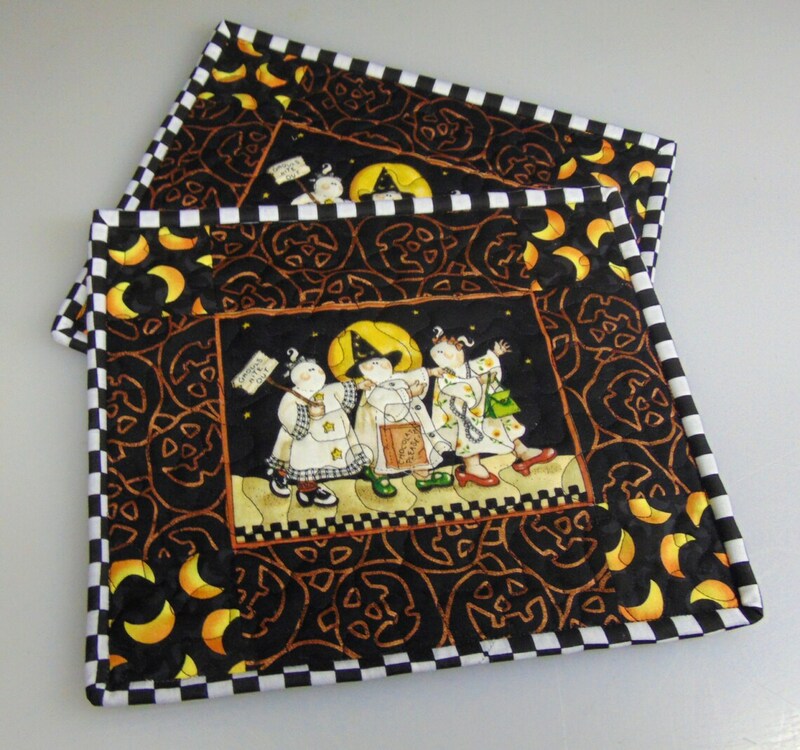 This listing is for a set of 2 snack mats. They measure 9″ x 10 1/2″. The fabrics are a Halloween motif. A mini quilt for your table. There is room for your coffee, soda or tea cup and a snack plate. You can use either side. The colors are orange, ivory, black and white. The fabrics and batting are 100% cotton. They are machine quilted with a stipple pattern. The double fold binding is machine stitched on. They may be washed in cold water and lined dried. You may finish with an iron to smooth after drying.